BANGI, 18 June – During the 40 years of its existance Universiti Kebangsaan Malaysia has produced a total of 131,259 graduands among whom are ministers, deputy ministers, renowned medical specialist, media leaders, corporate figures, famous entrepreneurs, high ranking government officials and even civil movement activists. 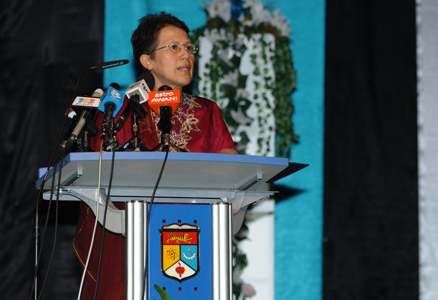 UKM have in fact succeeded in producing graduates not just in quantity terms but also graduates of quality, “ said the Vice Chancellor Prof. Tan Sri Dato’ Dr Sharifah Hapsah Syed Hasan Shahabudin at the Alumni Dinner 2010 in conjunction with the 40th anniversary celebrations of UKM. She also announced Dato’ Dr. Zainuddin Md Wazir, the Chief Executive Officer of Alliance College of Medical Sciences as the golden sponsor for the dinner. 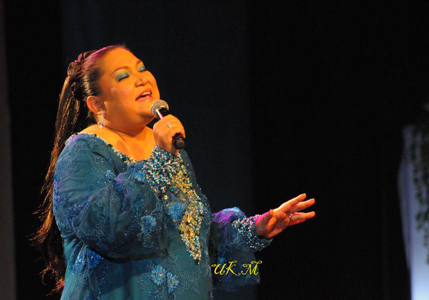 He was one of her students and also that of her spouse, Dato’ Dr Mahmud. 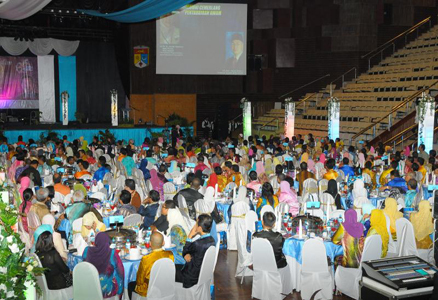 A total of RM210,000 was collected at the function last night for the university’s fund. A UKM Alumni directory was also launched last night in an effort to record data of all of its graduates to help the university for its further development. UKM will first focus on those who are in academic field. To expediate the collection of data, UKM has set up its Alumni Relations Centre to promote strategic collaborations and to galvanise the resources of the Alumni to develop educational activities, research as well as UKM’s community service. It will also help to strengthen their networking for the development of the Alumuni members, said Prof Sharifah Hapsah. The centre is to help facilitate networking between Alumni members for their mutual benefits and to work strategically in contributing to society. She urged them to update their personal data on-line using the Alumni Information System which can be accessed through its website www.ukm.my/alumni. 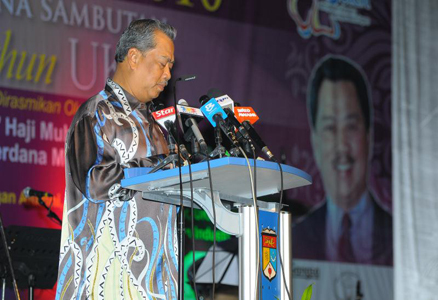 The dinner officiated by Deputy Prime Minister Tan Sri Muhyiddin Yassin was attended by about 750 alumni members. Speaking about the UKM-CIMB Credit Card which was also launched last night, she said it should help to promote the university’s identity and generate income for it. CIMB has assisted UKM as fund collector through e-banking for UKM Waqaf Fund which was launch recently. Prof Sharifah Hapsah said: “The returns from the Waqaf fund will be utilised for the Students Education and Welfare fund; Student development fund, Research and development fund and UKM industry and Community network fund. Deputy Prime Minister Tan Sri Muhyiddin Yassin in his speech said UKM should motivate its alumni to be more active in various fields so that the university’s excellence can be enhanced not only at the national level but also globally. Such initiative should be followed up with various concrete and cooperative programmes between the alumni and the university. He said that among the areas that could be looked into was the development of human capital involving aspects such as industrial training and student mobilisation. “The alumni working in strategic institutions and firms can assist the university in providing facilities to the graduands in undergoing various forms of practical training programmes,” he said.